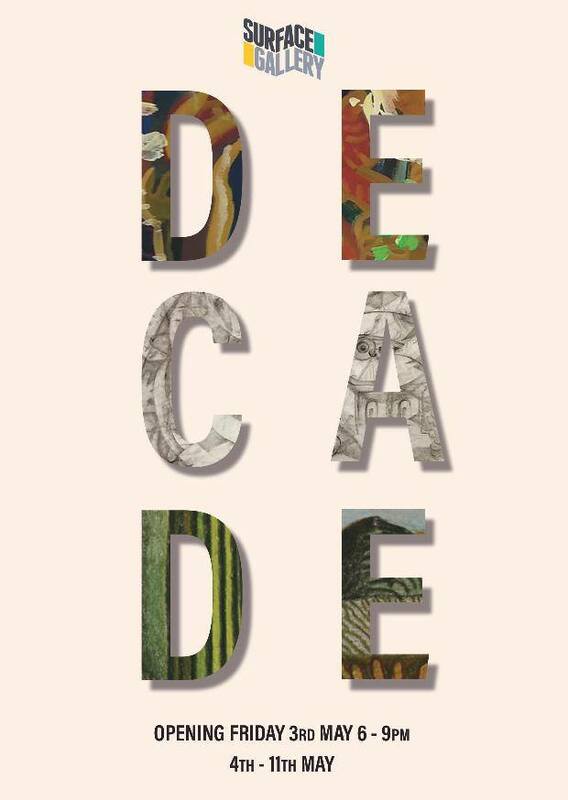 Surface Gallery is proud to present Decade, the culmination of 3rd Space Studios’ passions, investigations, and discussions that have fuelled them over the last ten years. These ten artists offer a mix of disciplines and media which are a manifestation of the work taking place in the studios at this present time. From the refined and highly detailed paintings of Gabriel Tejada, through to the eclectic theatrical assemblages of Antonietta Sacco; get up close and personal with migrating souls in the illustrations of Anne Standing; experience the urban landscape afresh with the paintings of Linda Wallis and Steve Ingman as they present works that reveal visions of a psychoactive world. Other artists pursue a more abstract language, exploring possibilities of colour, form, and expressions of materiality. Based in Sherwood 3rd Space Studios provide a vital professional working space for local artists. The studio celebrates and is proud of its position on the periphery, as well as it’s continued commitment to encouraging and supporting contemporary arts outside of the city centre. Surface Gallery invites you to share in 3rd Space Studios’ journey as they prepare to begin a new chapter with their investigations of personal and cultural histories. Stephen will be sharing some of the processes he used in the creation of ‘Willow pattern Drawing I’. Charcoal on paper, with the use of paper resists. He uses drawing to find out what he is thinking about, using the resistance of charcoal on paper, to stimulate a meditation upon thought, experience and the physical world. Join Antonietta Sacco for a collage workshop that explores pattern, colour, form and found imagery. Experiment with layering and composition techniques to create your own mixed media collages to take away with you. Decade opens in the Project Space in conjunction with Process of Us: A Solo Exhibition by Louise Lahive in the Main Gallery. As always, there will be a donations bar with ales from local brewery Pheasantry.